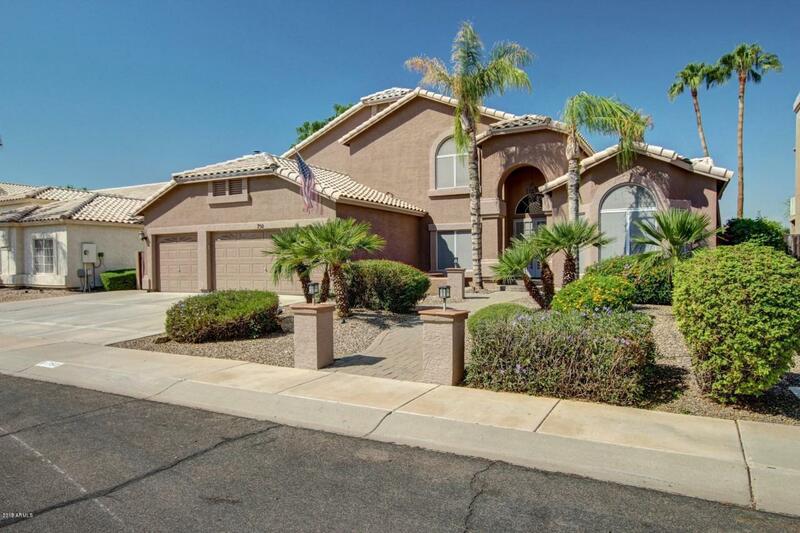 Gem in El Dorado Lakes Community, Golf course lot. Two bedrooms down stairs. Grand entry with vaulted ceiling at the living room. Upgraded kitchen with granite counter top, kitchen island, pantry and upgraded appliances and instant hot water sink. Over sized family room with golf view, stone fire place, and wet bar. The up stairs master suite connect with siting room has private exit to the deck overlooking the golf course. Tastefully upgraded bathrooms with luxury features such as dual sinks, jetted tub and walk in shower. Back yard oasis featuring covered patio w/propane BBQ, sparkling pool w/water feature and slide offers the perfect place to relax and enjoy the Arizona lifestyle year round.